Tired of being lost in a crowd? Cross Road Baptist Church provides a warm, family atmosphere where you can connect with other people, where your family will feel safe, and where you can truly belong. But most importantly, it’s a place that you will find God, who will give you true satisfaction, true fulfillment, and true purpose. There’s a place for you. . .
We’d like to invite you to visit Cross Road Baptist Church—a little church with a big heart! For over 100 years, we have helped people discover the blessings of an intimate relationship with the living God, helped them follow the teachings of Jesus Christ, and encouraged them to discover how they can serve God in our community with their gifts and talents. At Cross Road, you will find energetic worship on Sunday mornings featuring diverse forms of music, both traditional and contemporary. Inspiring and relevant Christian education classes will help you in your search for Biblical answers for living in today's complicated world. Child care is available for Sunday AM worship. 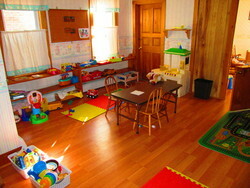 At Cross Road, you will find caring and skilled people ready to help with all your child care needs. A place to get connected. . . It’s easy to get lost in those big mega-churches. Our informal family-centered atmosphere makes it easy to grow spiritually, and easy to find a place to get involved. A place to serve. . . We are always seeking to penetrate the community surrounding us with the gospel—not only in word, but also in deed. A place to meet God. . . The Bible tells us that Jesus is the only way to come to a saving relationship with God. We lift up Jesus as “the way, the truth, and the life.” Everything we do points to Jesus, everything we do aimed at bringing glory to God. If you have been searching for something that’s missing in your life, maybe you need to meet Jesus. 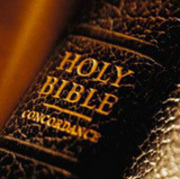 Cross Road Baptist is a place where you can ask questions and find answers that just might change your life!